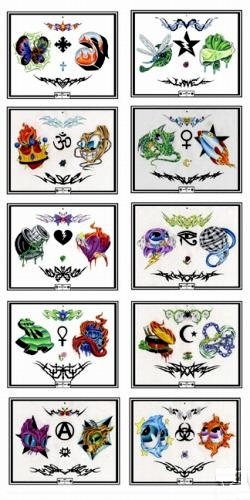 This Comprehensive set of Tattoo Flash is by "Sick Kid Mikie Banks" from Pensacola Florida USA. There is a lot of great stuff here and a little something for most anyone. We purchased everything Mikie had in his garage so get these now because when there gone - there gone, they will be discontinued. Set includes 50 Sheets of Sick Kid Color Designs along with Line Drawings for each, they are printed on 11" x 14" Art Quality Paper.